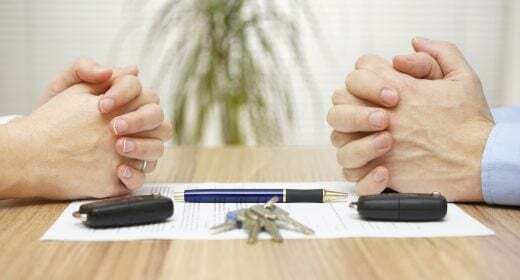 Divorcing or dissolving a civil partnership is often a stressful and painful event. Untangling your finances from those of your partners is not easy but it is important for your future happiness. There are many life-changing decisions to make and the biggest is usually deciding what to do with the family home. So, what happens to your home following a break-up? Here’s what you need to know. It depends on individual circumstances. If a divorce or dissolution of a civil partnership is on the cards, you need to work out together what you want to do with the family home. If you are able to agree without falling out and want to make the agreement legally binding, you would need to fill in a Consent Order form and send it to the courts. If you can’t agree, the next steps are mediation (a voluntary and confidential form of alternative dispute resolution) and, as a last resort, requesting a Financial Order from the courts. Alternatively, one of you could keep the home and not change who owns it. One partner can continue to live there, perhaps until your children are 18. When the property is sold, both partners receive a share. In this scenario, it is important that the person moving out knows they are still liable for the debt on the family home. This means that they may struggle to get a mortgage on another property. If you are sure you are going to separate and you think it might affect the way you pay your mortgage, notify your lender straight away. If you have a joint mortgage, you both need to keep paying the mortgage as you are equally liable for the payment of the loan. Moving out of the home doesn’t mean you can stop paying the mortgage. Any missed or late payment will affect your credit rating and can impact on your ability to get a mortgage on another property. If you voluntarily move out of your home before you legally split, you are relinquishing some control over the property. You are still the legal owner but it might make it harder to organise the process of selling it. If you want to buy your partner’s share or sell your home and divide the proceeds of the sale, you will need to get the property valued. A valuation report is recommended as it is an independent, professionally-prepared assessment of a property’s value at an agreed point in time. The report, unlike an estate agent’s estimate, is based on a set of standards set out by RICS. How do we split the equity? It depends on your circumstances. If you are married or in a civil partnership and you own the property as Joint Tenants, the equity is usually split equally. If you own the property as Tenants in Common and there is a Declaration of Trust document that states the division of shares, the trust deed is still valid after marriage but it will be considered alongside other important factors by the courts. How do I remove my partner’s name off the mortgage? Removing a name from a mortgage is not as easy as it sounds. Your lender will only remove your partner’s name from the property’s title deeds if you can prove that you can afford the monthly payments on your own. If your lender agrees, a ‘transfer of equity’ is required. Through this process, one partner is legally transferring the ownership to another. If you own the property as joint tenants, you need to give your partner half of the equity. The equity includes the deposit, the money you have paid off the loan and any extra you have made on the property. So, if your property is worth £100,000 and you have £50,000 equity in the property, you would need to give your partner £25,000. If you don’t have savings to cover it, your next option is to apply for a larger loan (also called remortgaging). You will need to prove to your lender that you can pay for the additional loan. If your lender refuses, you could apply for a mortgage with another bank. If you are married or in a civil partnership, HMRC will not charge you stamp duty land tax on the portion you are buying from your partner. Do I have any rights to my home if I am not the legal owner? If your name is not on the mortgage and you are married or in a civil partnership, you can protect your homeownership rights. As soon as you think it is likely that you are going to divorce, you should register a Home Rights Notice at the Land Registry. This means the property cannot be sold without your knowledge or pending legal proceedings. You can usually only live in the property until the divorce, annulment or dissolution has been finalised and a court settlement agreed. For more advice on homeowning issues, please join us as a member.